Although summer’s winding down, the Osage City Aquatic Center will remain open weekends through Labor Day. 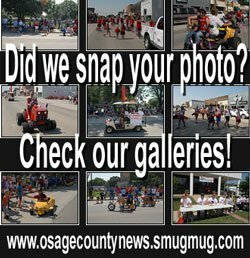 Signup is under way for fall Osage City Parks and Recreation programs, including youth flag football, youth soccer, cheerleader camp and youth volleyball. A player younger than 5 years of age on/before September 1, 2014, is too young for the pre-K/K division. Teams can start practice the week of August 25, if a coach is assigned to their team. League games are played Sundays, starting the middle of September. Players receive a team shirt, participation award, and equipment is provided by OCPR. 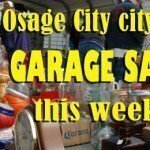 Signup forms will be available at Osage City Hall, sent through the Osage City Elementary School (when school starts), online at www.osagecity.com, or upon request. OCPR players receive a team shirt, shorts, plus a participation award. Players supply their own shin guard and cleated shoes. Team practice can start as soon as a coach is assigned. Pre-K-1st grade – 6:30-8 p.m.
2nd-4th grade – 6:30-8 p.m.
5th-8th grade – 6:30-8 p.m. 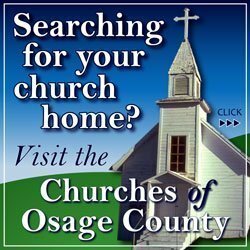 Session Dates and Time – Mondays, September 8, 15, 22, 29 and October 6 – 6-7 p.m.
Open to ALL 5th/6th grade volleyball teams in the Osage City area; OCPR is offering a 5th/6th grade recreational volleyball league for area town teams. League dates and time – Mondays, September 8, 15, 22, 29 and October 6 7-8 p.m.